My thoughts: This was no bodice-ripping, muscle-bound hero story, just as such elements don’t exist in my books. 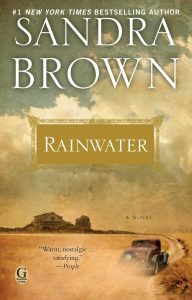 It’s a beautiful novel set in the Deep Depression in Texas. Ella, who runs a boarding house, has a new boarder – Mr. Rainwater who is dying of cancer. He manages to connect with Ella’s autistic son. I love heroes who are flawed for some reason (whether it’s health or circumstance), and I also tend to have a person with a disability in my books (I’m thinking of Sofia in “Joseph Barnaby”). My thoughts: An amazing debut that is no rom-com, and is not saccharine coated or cloying, this novel is populated by (once again) flawed characters and quirky ones at that (just how I like them – check out Lua in “Joseph Barnaby”). 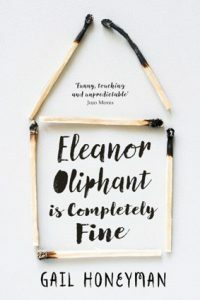 Eleanor has no social awareness – she’s fallen in love with a man who doesn’t know she exists, and now she’s determined to make him love her back. Despite her awkwardness, Eleanor is loveable in my opinion and deserves to have someone who adores her back. My thoughts: Ms Thomas takes the reader all over Europe. Her characters are not rich, young and breath-takingly beautiful – they’re like genuine people we meet every day. 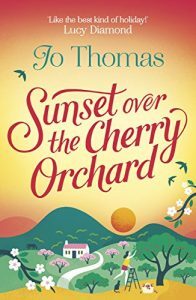 Usually the heroine is struggling to find her place in the world and ends up working in fields (no pun intended) she’d never thought of before: keeping bees, harvesting and making wine, cherry-picking… I think my novels are very much influenced by Ms. Thomas, except mine are all set in Portugal rather than a selection of European places. 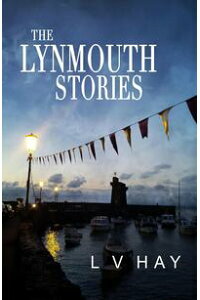 BIO: Susan Roebuck is a Britsh author, born and educated in the UK but now living in Portugal. She has been an English teacher for many years with the British Council and also the Portuguese civil service where she developed e-learning courses. 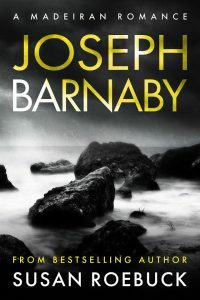 She is the writer of Joseph Barnaby, details below. By standing up for his principles to save the life of a prize racehorse, farrier Joseph Barnaby loses everything. Now, a personal vendetta has become too deep to fight and he escapes to the island of Madeira where he finds work on a small farm at the foot of a cliff, only accessible by boat. The balmy climate and never-ending supply of exotic fruit, vegetables and honey make it sound like paradise but, for Joseph, it’s the ideal place to hide from the world. Can the inhabitants of Quintada Esperança, who have more grit in them than the pebbled beach that fronts the property, help Joseph find his self-worth again? And can he escape the danger that draws ever nearer? BUY IT HERE.